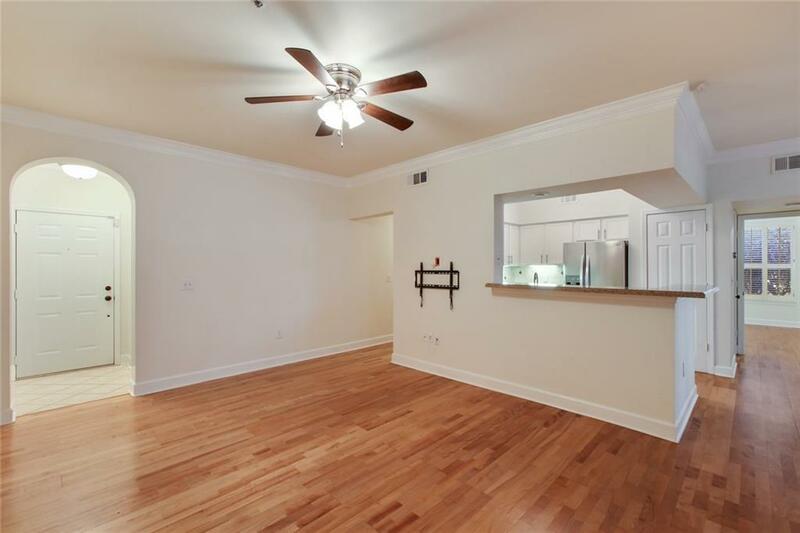 Welcome home to this desirable end unit tucked in the quiet back corner! 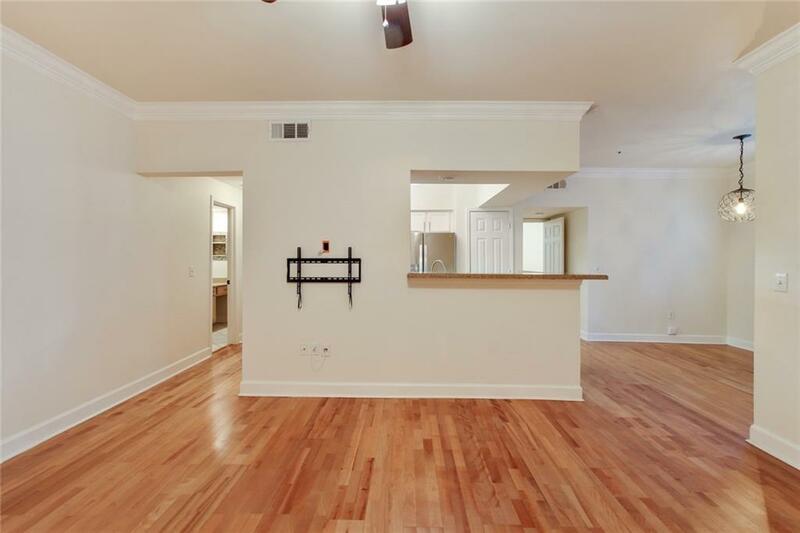 Quality finishes include hardwood floors, plantation shutters, and crown molding throughout the entire unit. 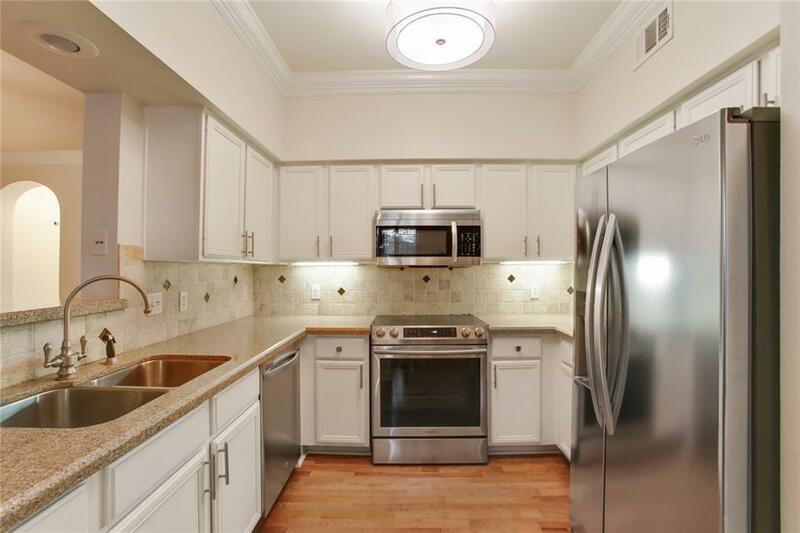 White cabinets, ss appliances (including new stove/range), and quartz counters in the kitchen. 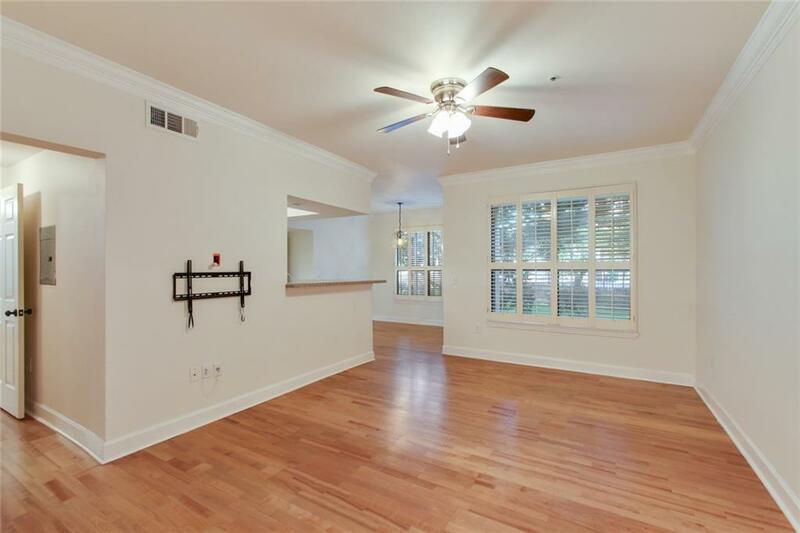 Both bedrooms have great natural light and large walk-in closets. Large bathrooms with great storage and soaking tub. The ground-floor, walk out ability is great for those with pets or someone who wants to enjoy the covered patio. Amazing pool/clubhouse/gym/guest parking.